The first book about the astounding husband-and-wife team of designers Jerry and Evelyn Ackerman, released in October, will please their fans and create new ones. 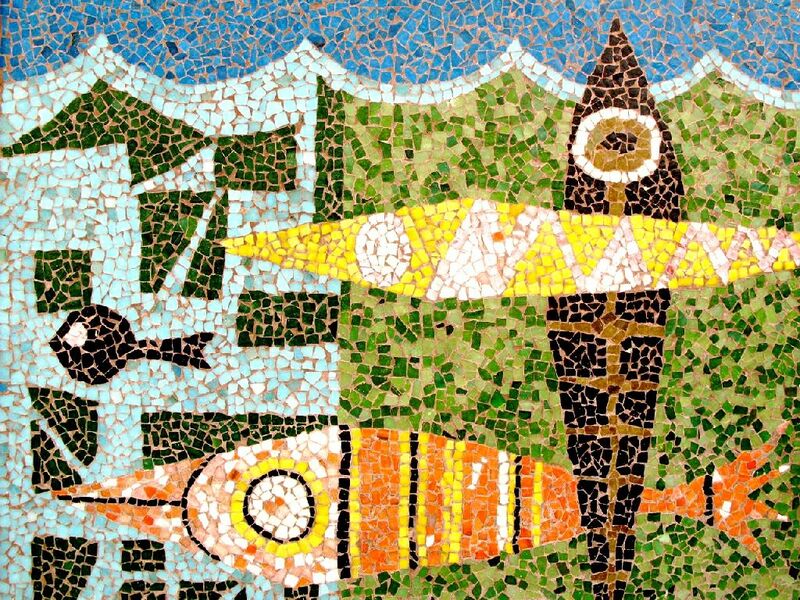 Evelyn Ackerman, who did much of their creative work, was a superb artist with a sure sense of color and form, with an enchanting dose of whimsy. 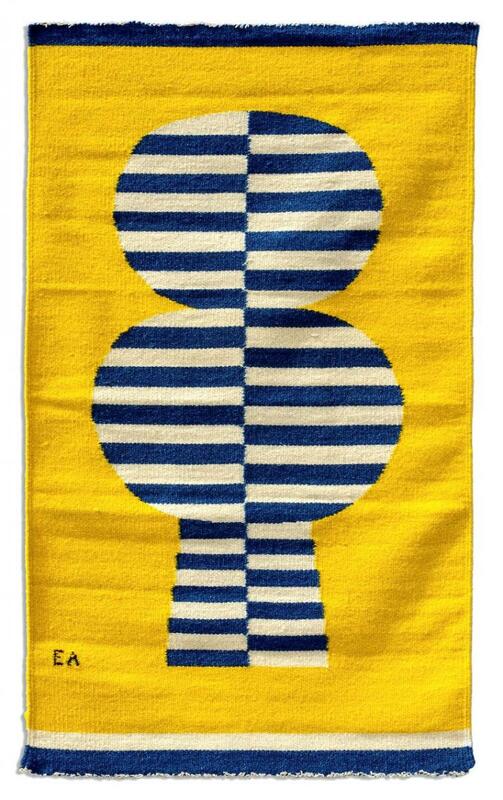 She worked in many media, textiles, mosaic, wood, metal and more. Jerry, a talented ceramicist and designer on his own, handled much of the business for the couple, who worked together from the mid-1940s. Evelyn died in 2012. Theirs was one of the great husband-wife pairings in the history of mid-century modern design, a category that includes Charles and Ray Eames, Gertrud and Otto Natzler, and Otto and Vivian Heino. 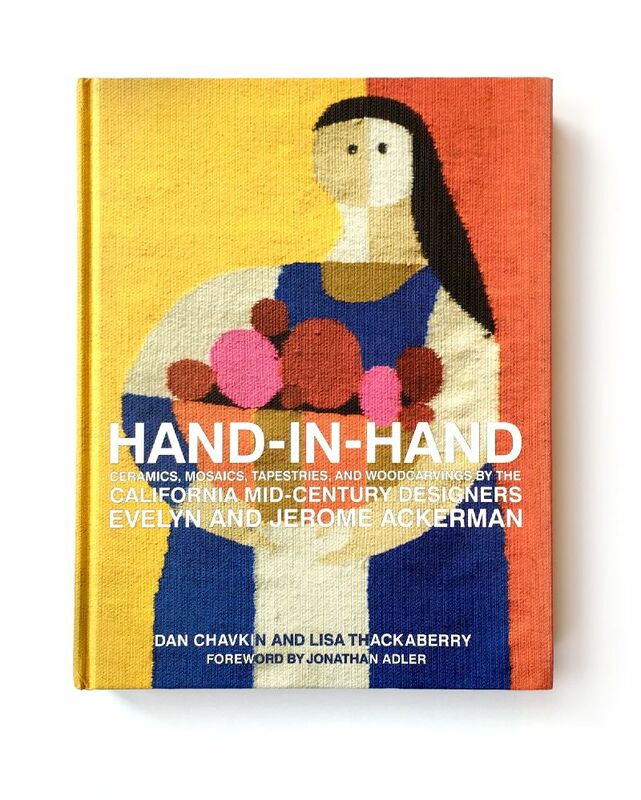 The book, ‘Hand-In-Hand: Ceramics, Mosaics, Tapestries, and Woodcarvings by the California Mid-Century Designers Evelyn and Jerome Ackerman,’ is by Dan Chavkin and Lisa Thackaberry. Judging by a book signing at Reform Gallery in Los Angeles, the book should do well. Working in the Los Angeles area, the Ackermans branched out from pure craft to running a small business producing limited production art and décor aimed at sophisticated young couples – many of whom lived in modern homes. The Ackermans even toyed with allying themselves with Joe Eichler, briefly. They met Eichler in the early 1950s at his office in Palo Alto. “I said, ‘We’re doing ceramics,’” Jerry recalled in an interview some years backs. “‘How would we make a living up here?’ He said, ‘Jerry, I’m going to be building enough houses up here that if you could sell a pot to each one of these houses, you’ll be doing fine.’ He was a good salesman.” But the Ackermans were doing fine down south so down south they remained.